Raffi Minasian is a designer, illustrator and educator. He holds degrees in both Product and Transportation Design. 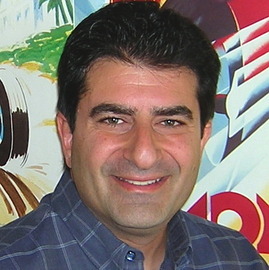 His work includes aircraft interior design for Boeing, toys for Mattel and McDonald’s, consumer products for Microsoft, Polaris, and Rainbird, and car designs for Toyota, Subaru, Moal Coachbuilders and The Franklin Mint. He has designed more than 300 different model cars, several full-sized cars, consumer products, toys, and home accessories and ecently was part of the design/build team for the 2005 AMBR – 32 Ford Hot Rod “Sedeuced”.